Before leaving Hobart we spent two hours in the Royal Tasmanian Botanical Gardens. Terrific. I learned many new things. 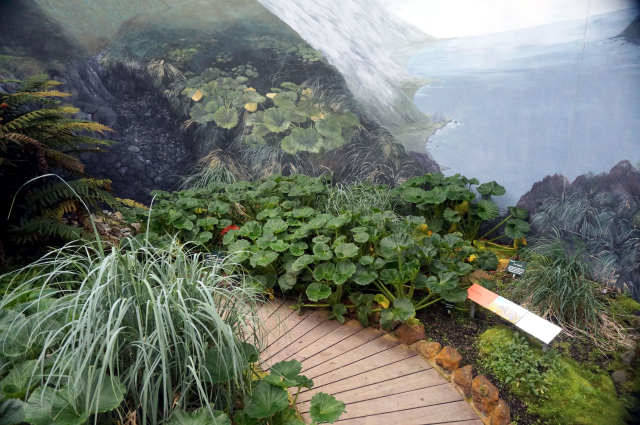 They have a refrigerated subarctic house replicating the environment of Macquarie Island (located halfway between New Zealand and Antarctica and politically Tasmanian). It is 22 miles long, 3 miles wide, with an elevation of 1,300 feet. It is a young island (created 600,000 years ago by the collision of two continental plates). It is a rare opportunity to study the creation of the oceanic crust. The cabbage-like plants were used by early Southern Ocean sailors to prevent scurvy.